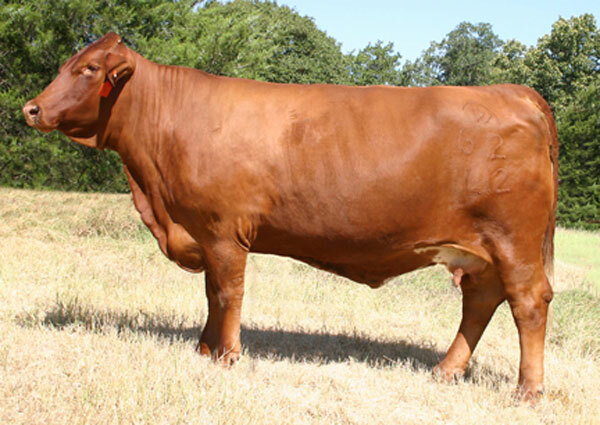 Emmons Ranch Females are a vital part of our herd, and maternal strength and quality are visable in all of our Beefmaster donors. Visitors are welcome to stop by the ranch at any time to see our females. MISS BEEFMASTER AMERICA 2010! What an awesome female! EMS Stylish Jezzy has all the attributes anyone could ask for–amazing eye appeal, pedigree (own daughter of the legend–Jezabelle), and performance. She was crowned Miss Beefmaster America 2010 and was also the Grand Champion Female at the San Antonio Livestock Show winning the $10,000 scholarship in the same year. 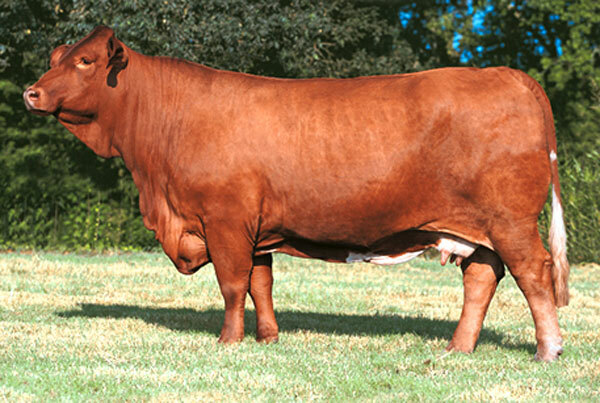 Her dam, Jezabelle, one of the breeds legendary matrons, brings tremendous predictability to the table. Her performance data speaks for itself, WW 604, YW 898, REA 12.62, IMF 3.5, REA/SWT 1.42. What more could you ask for?? A prime example of our motto; “Where good looking cattle perform.” You can have it ALL!! Watch for her babies. Introducing “Amazing Ace,” high-selling lot at the 2006 Presidents Council Sale, selling for $50,000. She is a complete package: straight lines, extreme muscle, bone & volume, and exhibiting a long, feminine front. 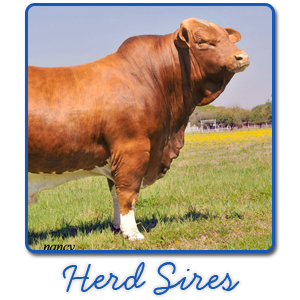 Amazing Ace is sired by “Ace in the Hole,” and her dam is “EMS Miss Buff.” Her ADJ 205 wwt was 698 pounds, ratio 109, yearling wt. 945. She is owned jointly with Vaughn Family Farm, Davin & Gail Vaughn. Watch for her future progeny. 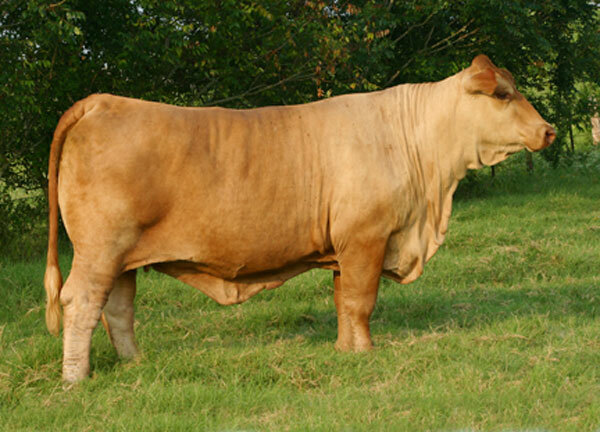 She is “simply amazing.” The 2008 Miss Beefmaster America, flushmate to EMS Johnny Cash. 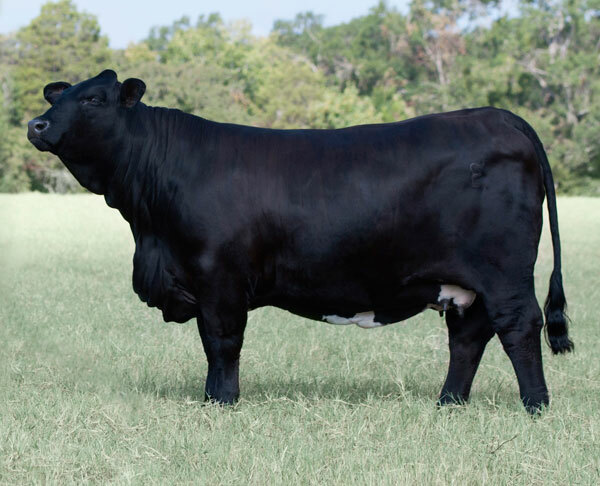 In her first calf crop, she has produced the 2009 Houston Livestock Show Grand Champion Bull, Red Ryder, now owned by Rex West, the 2010 Houston Livestock Show Grand Champion Bull, Bonfire, and the 2010 National Bull Championships Grand Champion Bull, Bonfire. She has also produced a proven donor, Ace of Hearts, owned by Joe Forshage, and a proven donor Amazing Emma, owned by H.G. Griffin and Jerry Ronquille. Without question, one of the best cows to ever be on our ranch. She is a true donor in every way. Super smooth, powerful, and correct. She was the Grand Champion Cow Family at the Rose of the South Futurity. One of her sons by CR’s Grand Cherokee was Champion Bull at the San Antonio Livestock Show in 2006. 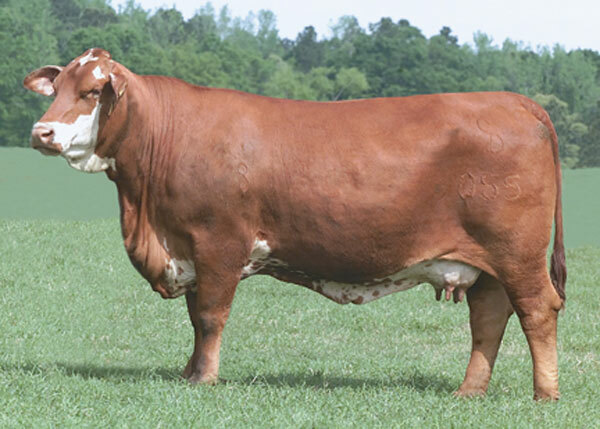 She is the dam of the 2009 National Champion Bull and the 2009 Houston Livestock Show Res Grand Champion Bull, EMS Smooth Cavalier. One of our most proven and predictable donors. Tremendous muscle and volume, perfect udder. She is one of a kind. She was the Reserve Champion Cow Family at the Rose of the South Futurity. 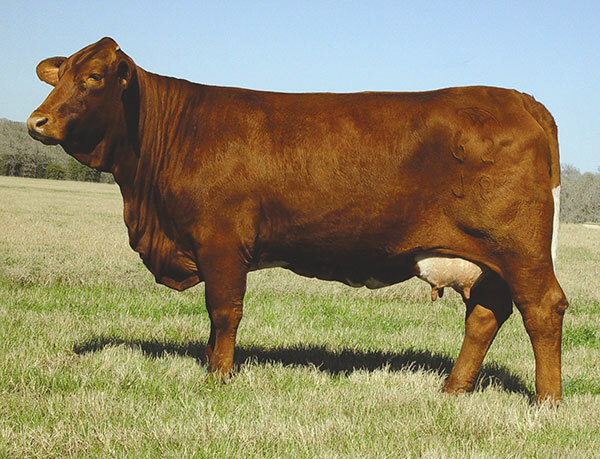 EMS Miss Buff is the ultimate Beefmaster cow that personifies what is great about the Beefmaster breed. 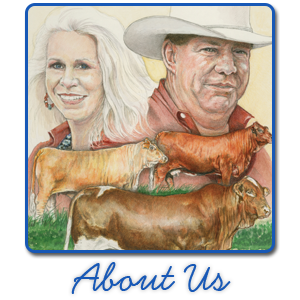 She produced the 2008 National Bull Championships Grand Champion Bull, the 2007 Miss Beefmaster America Res Grand Champion, and the 2008 Miss Beefmaster America. When thinking of “Royalty”, “The Duchess” comes to mind! 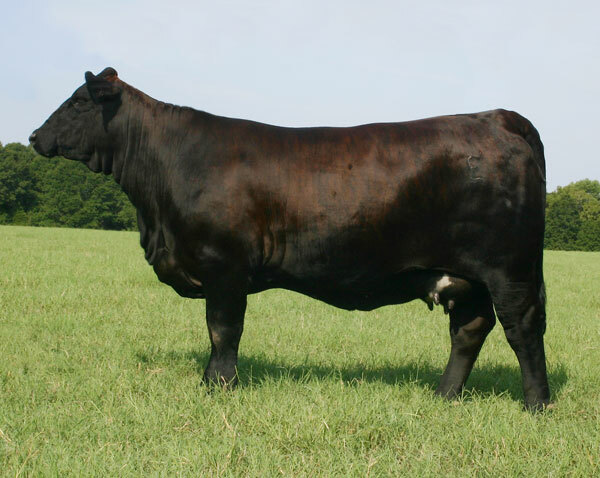 She is one of the youngest, most eye appealing and powerful Robert E. Lee daughters in the Beefmaster breed. “The Duchess” sold for $22,000, the high selling lot at Ted Cain’s. She is 1/2 sister to Lee Adair’s legendary cow 6/2, and maternal breeding proved its worth for Clark Jones and Charlie Duncan for years. She is definitely one of a kind! Progeny available. A truly beautiful proven donor by Cavaliar and Jezabelle. Miss Sugarbelle has generations of power on the top and the bottom of her pedigree. She is an own daughter of a legend in the breed–Jezabelle, who is now deceased. Miss Sugarbelle adds power and thickness to her offspring, as well as cleanliness and eye appeal. this family of cattle is predictable and with that comes profit. Build your program around offspring of this proven donor and watch the dollars roll in. Jezabelle, a picture of perfection! Jezabelle takes her place with the legendary matrons of the breed. She’s gone, there won’t be any more. Imagine what she can do for your herd. Her track record speaks for itself. She is a proven herd bull producer. Her daughters and granddaughters have excellent udders and milk. Invest in your Beefmaster future with Jezabelle. 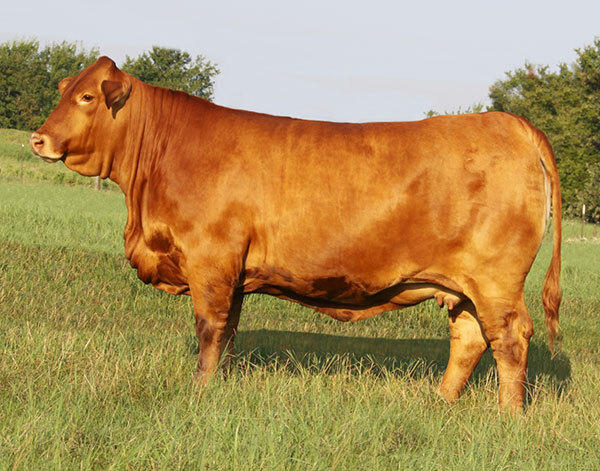 Thank you for your interest in Emmons Ranch Beefmaster Females. 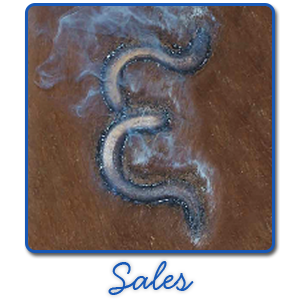 Please call us if you have any questions about improving the genetics of your herd with our donors.